White, blue, gold – these are the colours of the ski area Gitschberg Val Giovo, close to Maranza. White powder snow up to 2,500 m, a bright blue winter sky and an average of 3,000 hours of golden sunshine per year. The ideal conditions for all winter sports! However, there is more! In Gitschberg Val Giovo, you may enjoy the advantages of two popular ski resorts with a great interconnection. As a guest at the Schmiedhof, you live in a perfect position – only two minutes’ walk from the nearest ski lift to Mount Gitschberg. Our “Gitsch” (2,510 m) will make all your winter dreams come true – and confirm that it was a good decision to opt for skiing in Maranza. The ski area Gitschberg Val Giovo offers 44 kilometres of ski slopes, there is a Kite Zone, two snow parks and 16 modern ski lifts. 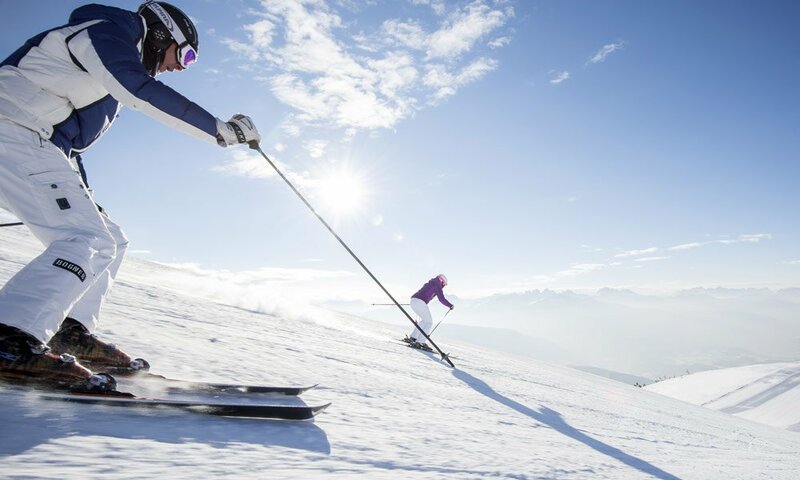 The slopes with snow guarantee include all degrees of difficulty; some are easily accessible even for kids, while others offer great challenges for more experienced ski fans. Many passionate skiers come to ski in Maranza because of the black slope “Sergerwiese” on Mount Gitschberg. 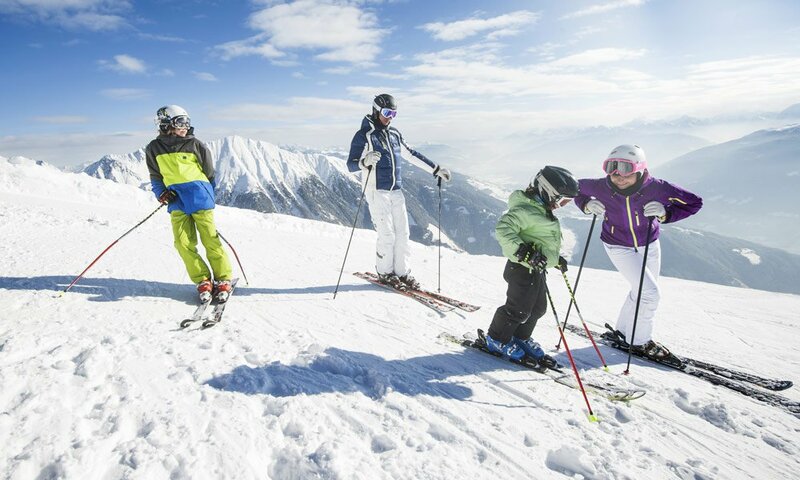 However, in the ski area Gitschberg Val Giovo, there are also many beginners and families with children, who enjoy the special ambience that offers the best conditions for young and old. On the nearby Mount Gitschberg, you are always in good hands. However, if you are looking for new adventures, when skiing in Maranza you can easily take the connecting cable car to Valles Valley and discover more exciting downhill skiing in Maranza. This section of the ski area Gitschberg Val Giovo offers plenty of diversity, so you will never get bored. 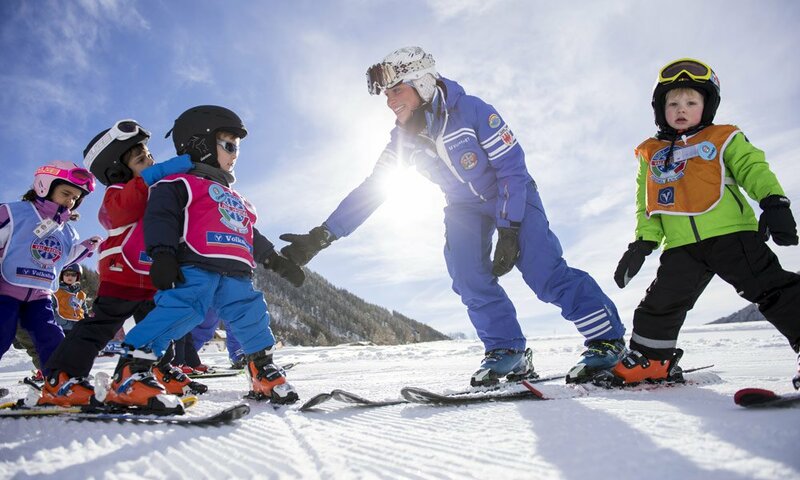 At the Bambino Club Valles, your children are in good hands for and can learn how to ski in a safe e fun way. Furthermore, you may see excellent skiers practicing the slalom or giant slalom. Another highlight: At the summit of Mount Gitschberg, you may enjoy a fantastic panorama that makes skiing in Maranza even more special!